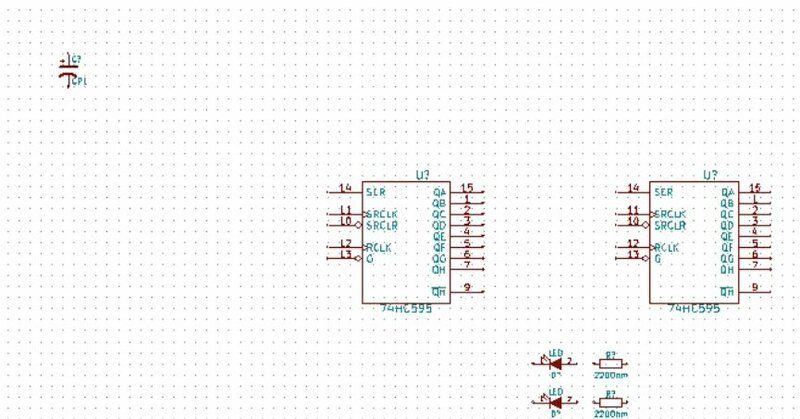 In the last chapter we looked at the breadboard wiring diagram for the circuit that we will work to create a PCB for. 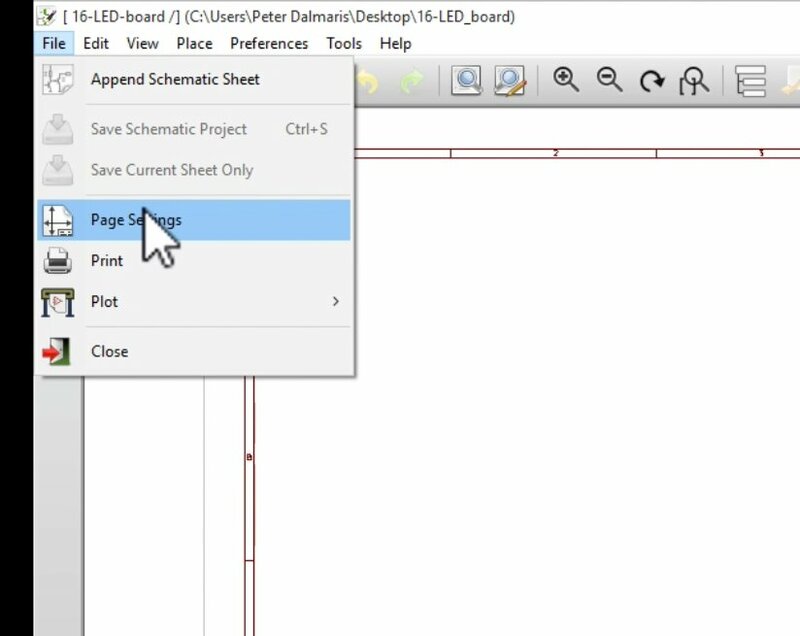 In this chapter, we’ll start the process by creating a new Kicad project, and doing the schematic in Eeschema. Let’s create the new project. Start Kicad, go to the File menu item, then New Project, and then click on New Project. The new project is created, ready for Eeschema! Let’s start Eeschema. Click on the Eeschema button. 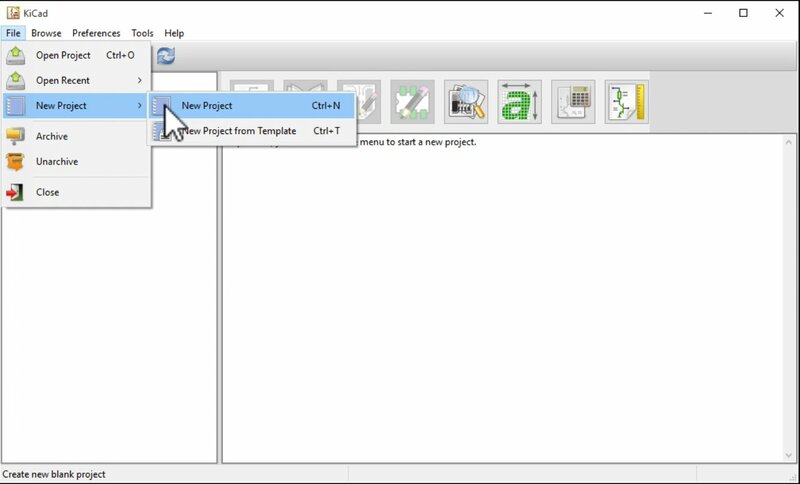 Once Eeschema launches, edit the page properties so that the project information is shown in the canvas legend. 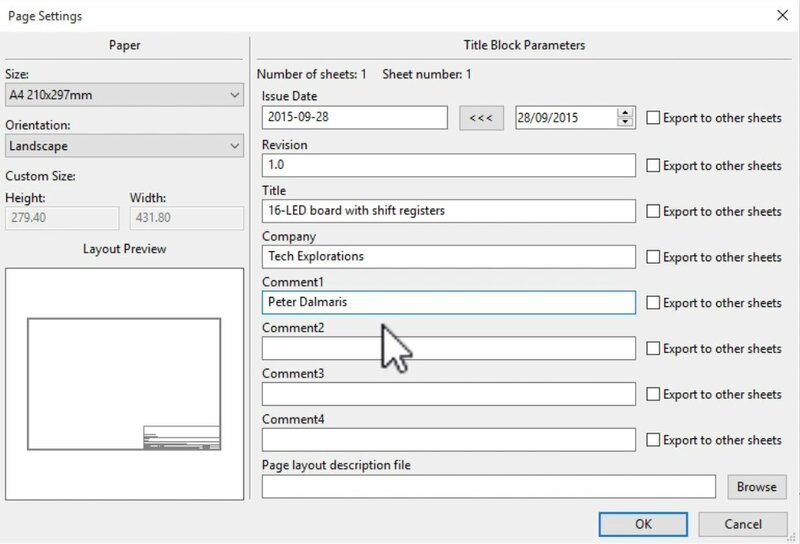 Bring up the Page Settings window to edit the project information. Populate the project information text fields. The canvas legend with the project information. We will start again as usual by dropping in the components into the canvas, making extensive use of pin labels and buses. 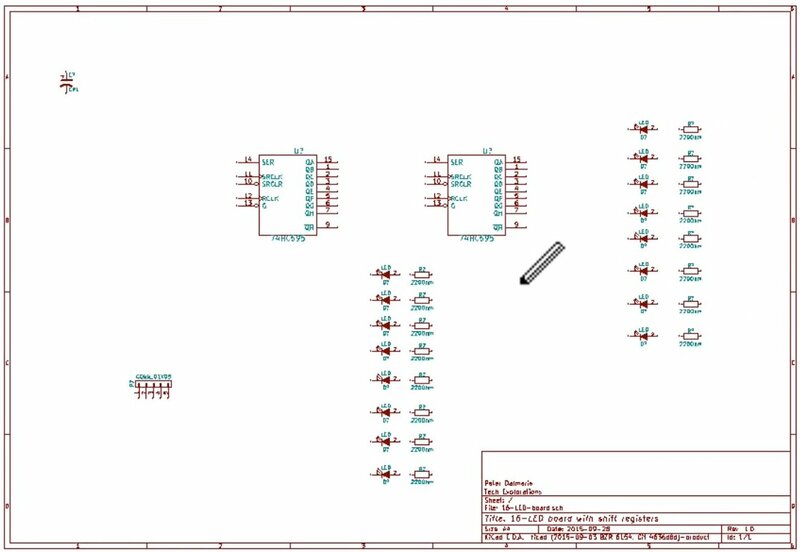 We will use lines, boxes and text labels to annotate the schematic to make it easy to read if you decide to print it out. 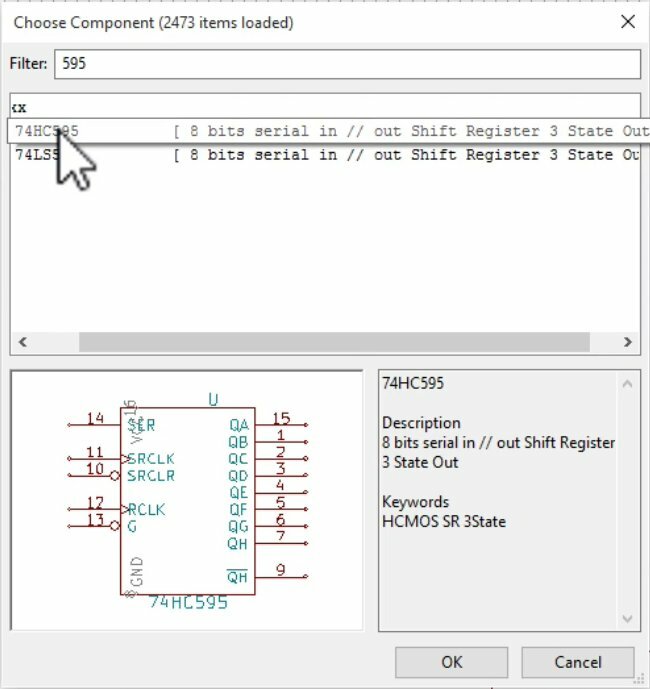 Select the HC595 IC and click OK to drop it to the canvas. 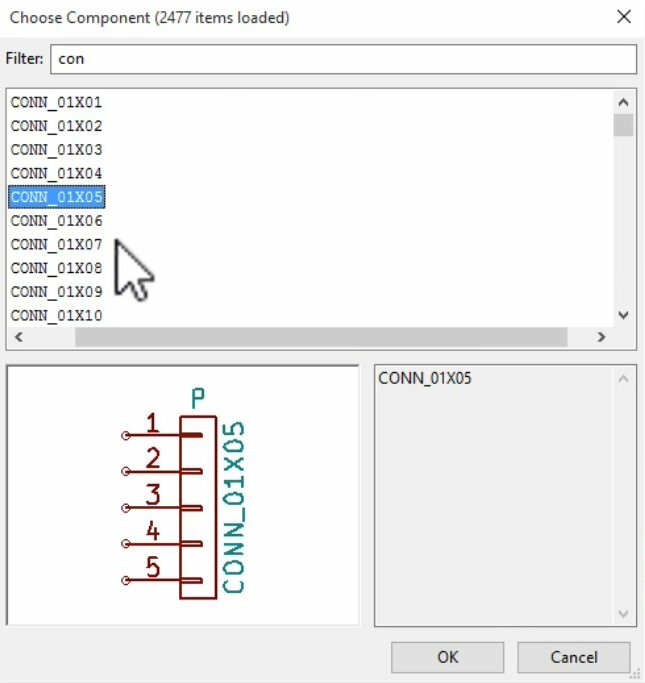 Make a copy of the first IC with the “C” key. We now have two ICs on the canvas. We will need 16 of the LED components, arranged in two rows of 8 LEDs each. 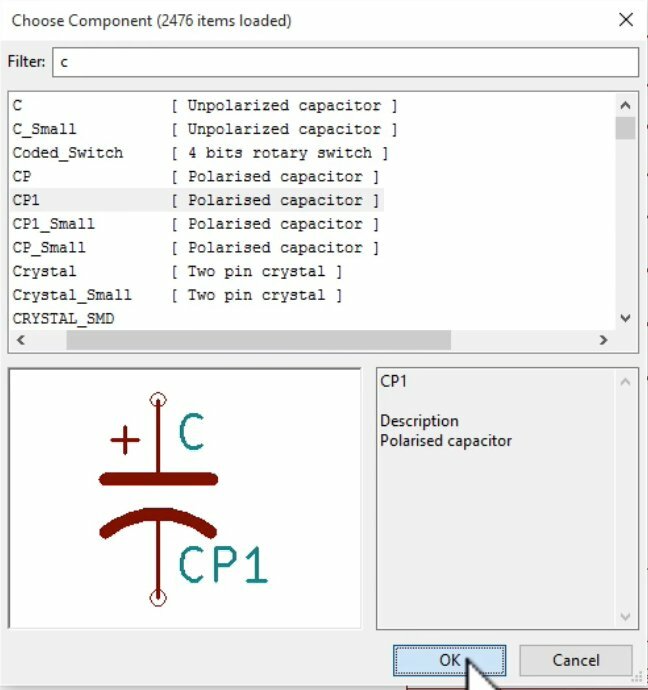 Just like with the IC, the easiest way to add more of the same is to make copies of the first component using the “C” key. 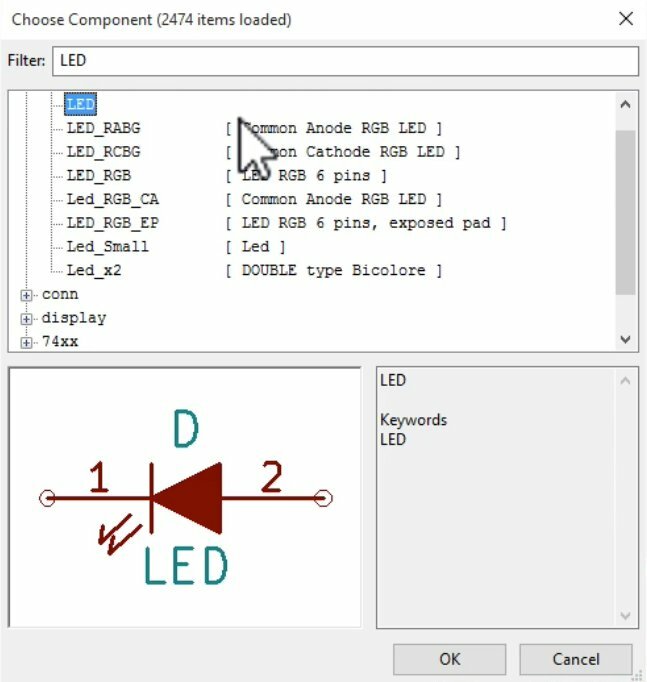 Go ahead, make another 15 copies of the first LED, and arrange them in two rows. 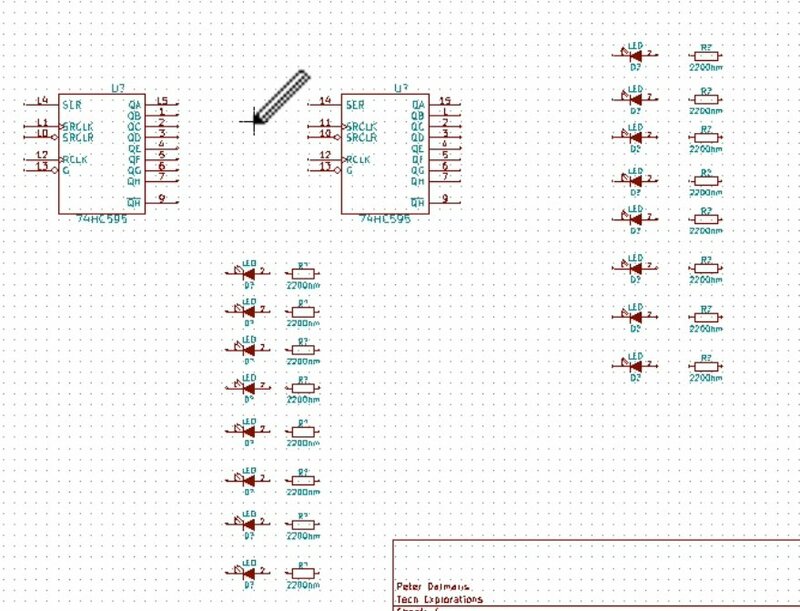 Then, do exactly the same thing and add 16 resistors, also arranged in two rows. The canvas now contains 2 595 ICs, 16 LEDs and 16 resistors. The capacitor is at the top left corner of the canvas. The current version of the schematic. We now have all the components of the circuit on the canvas. In the next chapter, we will start working on the wiring.